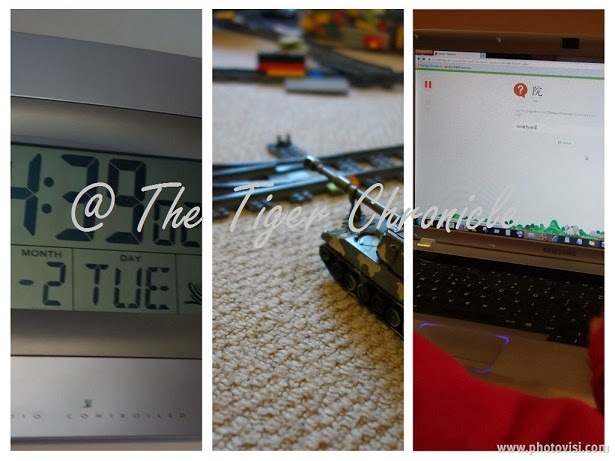 It's interesting for me to look back at last year's post to see whether and how our day is any different now so I've decided to join in with the fun at Simple Homeschool to record what a day looks like in our homeschool. The link up will take place on Friday, February 14th. I was woken up by Tortoise kissing me goodbye to go to work. I put my arm out of the duvet and felt the chilly air so I decided to stay in the warm bed a little longer. 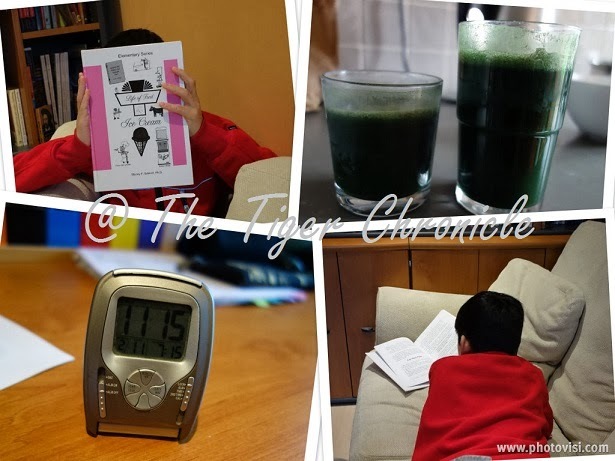 Then, I remembered that I was going to write a post about our homeschool day so I jumped out of bed, in order to be able to say to everyone that I got up at good time instead of lazing in bed until ten o'clock. 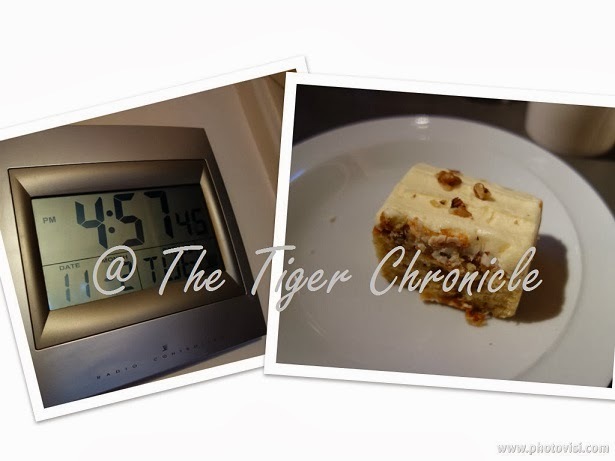 By the time I freshened up, got dressed, made the bed, got to the kitchen, and grabbed my camera, it was about 7:17am. I put the kettle on to make myself a cup of coffee and to boil an egg. My breakfast these days is one humble boiled duck egg, with an occasional cup of coffee. I'm supposed to have stopped drinking coffee but I make an exception on days when I'm really woozy, and this morning was one of those moments. While the egg was being cooked I switched my laptop on to answer emails and catch up on news. By the time I was done with the first round of matters-of-urgency on the laptop, my egg was well cooked and the coffee was cold. I added more hot water to the coffee and finished the egg. Then back to the laptop to read more news, catch up on others' blogs, and start drafting this post. Wait! Did I hear a stir upstairs? I held my breadth. Tiger waking up means the start of another busy day of being 'Mum'. Even after nearly ten years of being a mother, I still need to have the quiet stillness and alone time in the mornings to think about things and enjoy the silence. The noise turned out to be the low rumbling of thunder outside. How very strange. We didn't use to get thunder in the winter, only in the summer. The weather here has become very erratic indeed. Luckily we plan to start look into it again next week, once our Chinese New Year celebration ends on Friday. I finally heard footsteps coming from upstairs. Tiger is up. 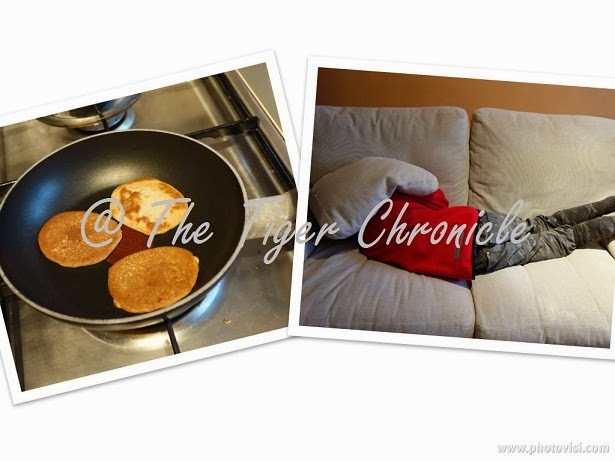 I made some pancakes for Tiger's breakfast while he laid on the sofa waiting. He really wasn't feeling too great. After breakfast, Tiger went to do his morning chores. 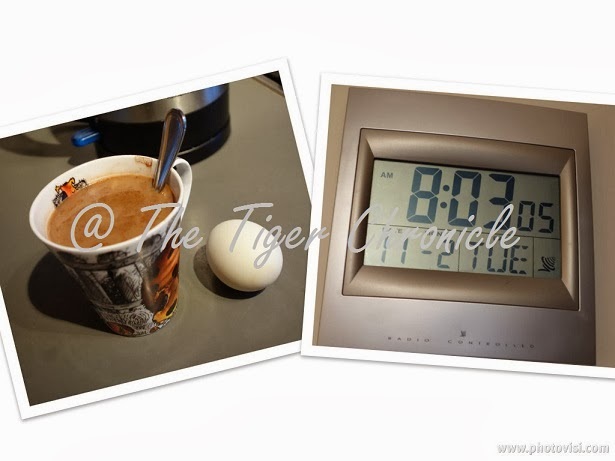 After watching the clip, I decided to help Tiger with chores in the kitchen so that we can both start our day quickly. Half the morning has past and we haven't done anything useful yet. I'm not happy about this. When the chores were ticked off, we sat down and made a list of the things that needed to be done, including outstanding projects that have to be completed. Once we knew what's expected of ourselves (from the list), we sat down and started work. We watched two episodes of Happy Chinese. I paused the clips every now and then to explain new terms to him. Tiger's Mandarin is improving rapidly, as noted from his increased ability to understand the conversations in the series. We had a break after the Chinese clips to drink water and to have a few minutes to ourselves. Tiger laid on the sofa to read. It turned out to be a very busy hour, with answering the phone call about a course enquiry for Tortoise, answering the door to a delivery, and answering emails about some field trips on offer. By the time Tiger and I reconvene, it was already ten-to-twelve!! Where did the time go?! 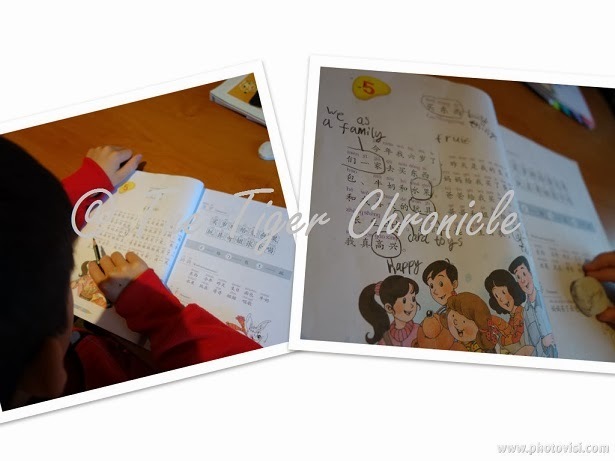 We hurriedly sat down to start on Tiger's Chinese homework. We try to get the Chinese homework out of the way as early in the week as possible to avoid last-minute rush later in the week. 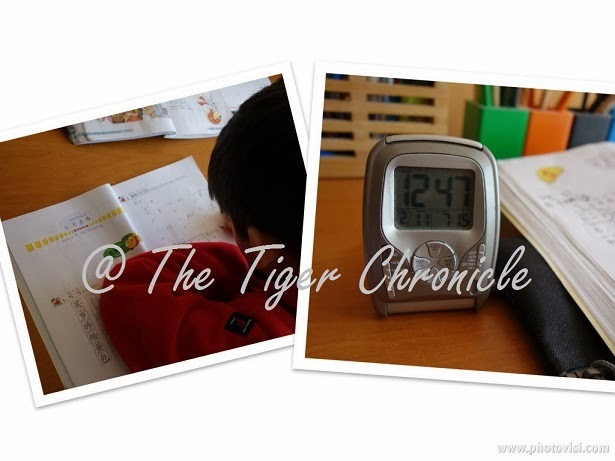 Each homework session takes a long time because we approach Mandarin learning in the traditional way, which is to make sure that Tiger completely understands each new vocabulary and text before we move forward to the next. Every new character has to be practised stroke by stroke, in the correct order, until there is no mistake; each new word has to be pronounced in the perfect tone. The reason I insist on this level of accuracy is because it is the nature of the Chinese language -- a stroke more or a stroke less will render the word incorrect, and the wrong pronounciation of a word can have a completely different meaning. By quarter to one, we were both hungry. 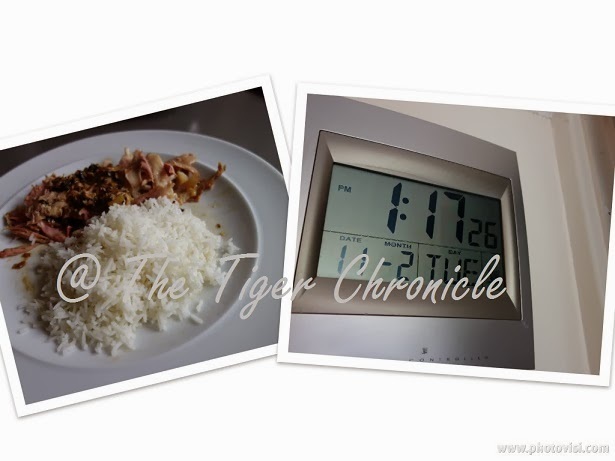 Tiger was nearly done with today's portion of the homework, so I put the oven on to heat up lunch. It was a quarter past one when we ate lunch. Lunch was nothing fancy, just reheats from last night's dinner. We usually take a break of between 15 to 30 minutes after lunch before we carry on with learning in the afternoon. However, this afternoon Tiger decided to start working on a sketch for his bookclub's project straight after lunch. He completed his draft shortly afterwards. We discussed the draft in view of the project requirements and agreed that we would have to work on it some more tomorrow before we start putting the final drawing together. 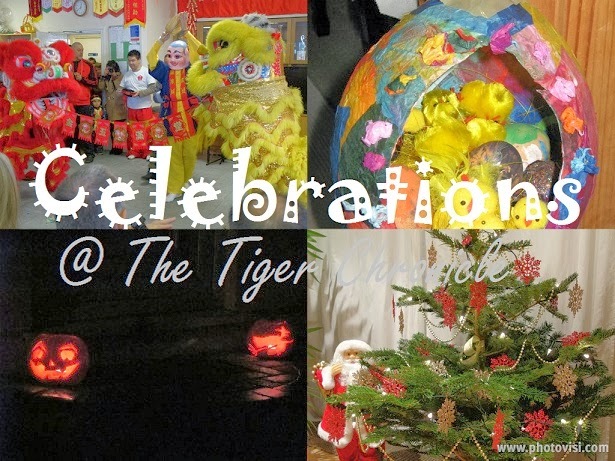 We discussed a little about what we wanted to do for Friday's Lantern Festival. 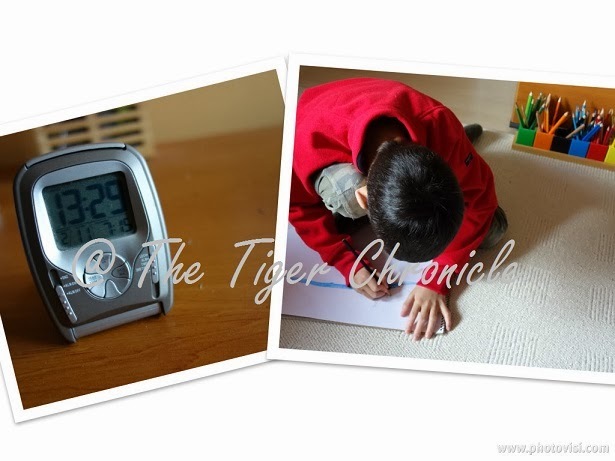 I showed Tiger some of the ideas that I have found in the morning that we might want to do. Then the sun came out! We haven't seen the sun for days so we couldn't wait to get outside. 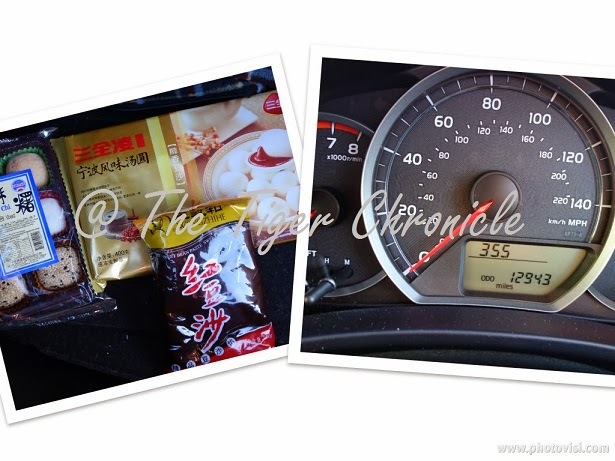 We ended up getting in the car and driving to another town to check out an oriental supermarket that I have heard about from a friend. It was just as well that we went because we bought a few items that would come in handy for Friday. The bonus was to know the location of the oriental supermarket so that we can get the specialised ingredients without having to go to Chinatown. Once we arrived home, Tiger went straight to his room to play battles. 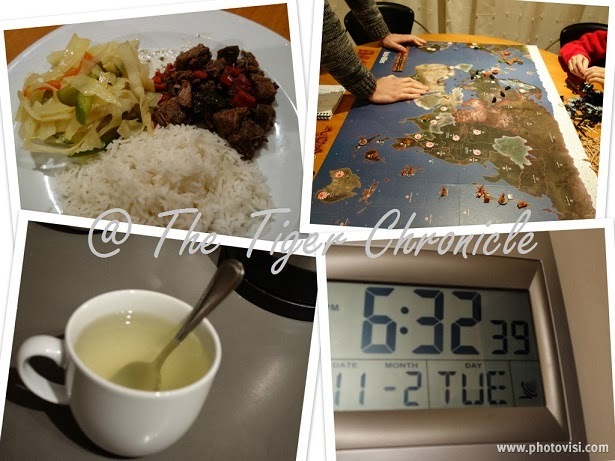 I reminded him that he still had a few more things to do before his 'school hours' are over, namely emptying the bins and doing a few Introductory Mandarin exercises on Memrise. Tiger completed the Memrise exercises just as Tortoise stepped through the door with a slice of carrot cake for me! Blessed is the man who remembers to bring home treats for his wife! It was time to cook dinner. 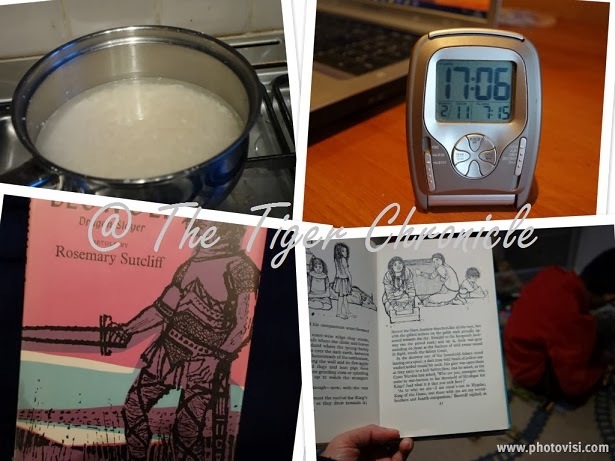 While the rice was cooking on the stove, I read aloud to Tiger who was playing battles. Our read aloud normally happens at Tiger's bedtime, but as we have some catching up to do prior to attending the upcoming bookclub meeting, we've decided to have a few extra read-aloud sessions. This was one of them. After dinner, the boys continued their epic war game, which have been going on for days. However, tonight everyone is not feeling well. The germ has got to all of us, so we're all going to have an early night after having our cups of lemon-and-honey drink. 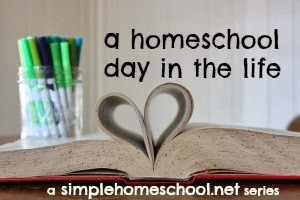 Simple Homeschool: Come share your homeschool day in the life! Sorry to hear you guys are feeling unwell, Hwee. It sounds like you had a very productive day in the circumstances - thank you for taking the time to share it with us. I always find these insights into other people's days fascinating! I just thought it would be interesting to have a record of what it's like for us in one particular day, and compare it to the previous year to see whether anything has changed. It's never occurred to me to do a day in the life for my own sake to be able to compare next year. Great idea! I might join in because I would love to look back on all the changes. It was very interesting to peek into your day and Lucinda's right, it was very productive given you weren't feeling 100%. Feel better soon! I enjoyed reading about your day. 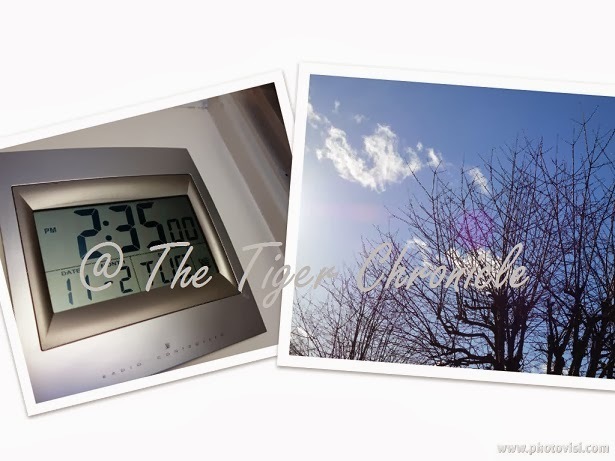 I like how you recorded your activities hour-by-hour with lots of interesting photos. The Learn Free video sounds interesting. Thank you for sharing the link. I'm going to watch it! I hope you are all feeling better soon! Thanks for sharing your day. I loved the pictures and the clock. I'm glad to hear someone else is slow getting their school days started because I so often am tortoise slow and it feels like the day will never start.